Woohoo!! 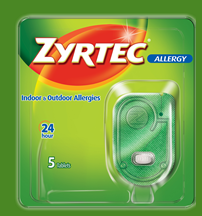 There is an awesome Zyrtec Coupon available. The coupon is for $5 off any Zyrtec, 5 ct. And, guess what….big Money Maker at CVS.